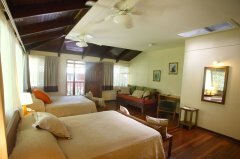 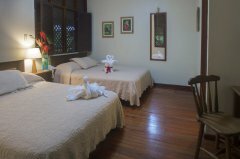 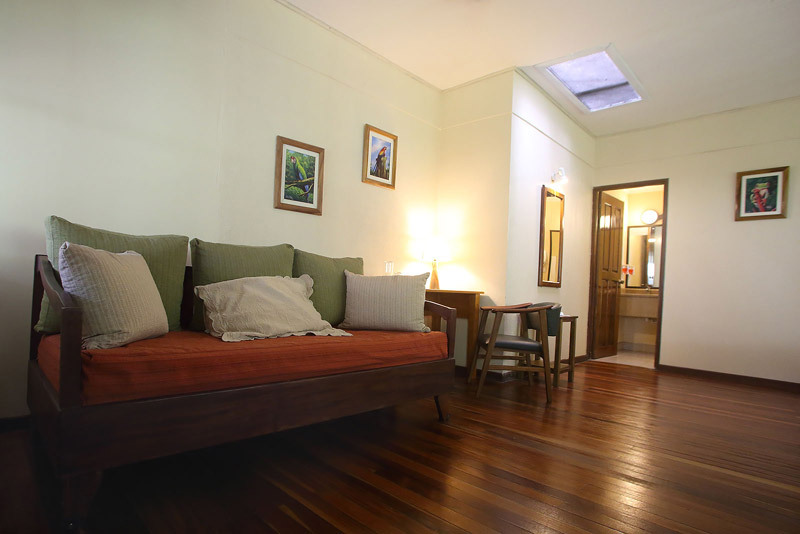 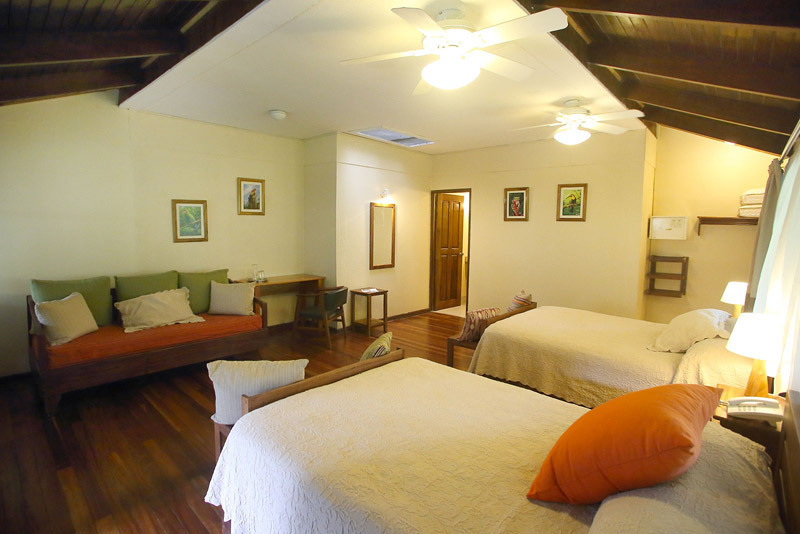 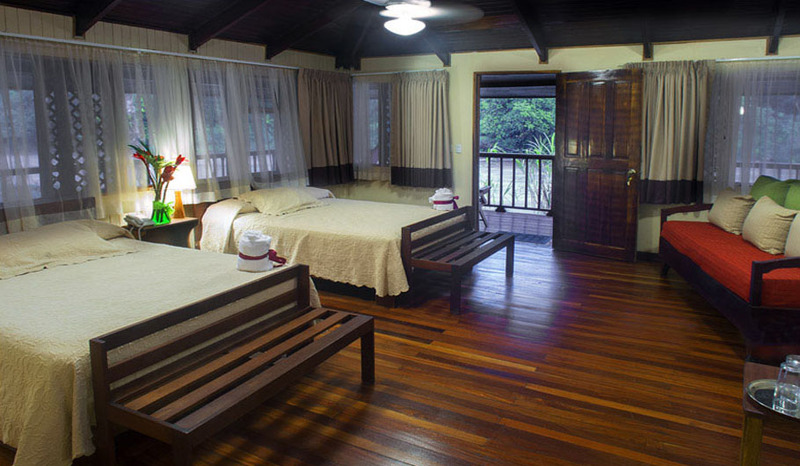 Located near the Sarapiquí River, our charming River Lodge rooms are set in blocks of four and accommodate one to four or queen beds. 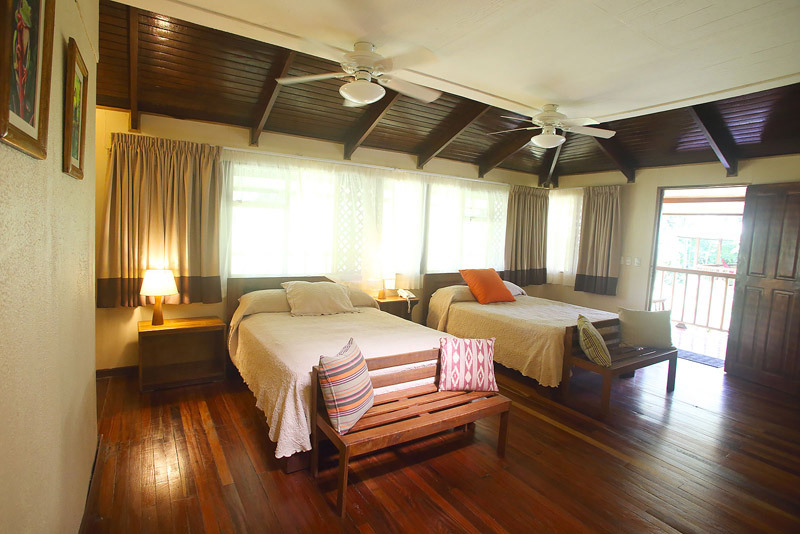 Each room has a desk, clothing rack, ceiling fans, and private bath with solar heated water and double each block of rooms, and offer ample wildlife viewing and relaxing opportunities from chairs and hammocks. 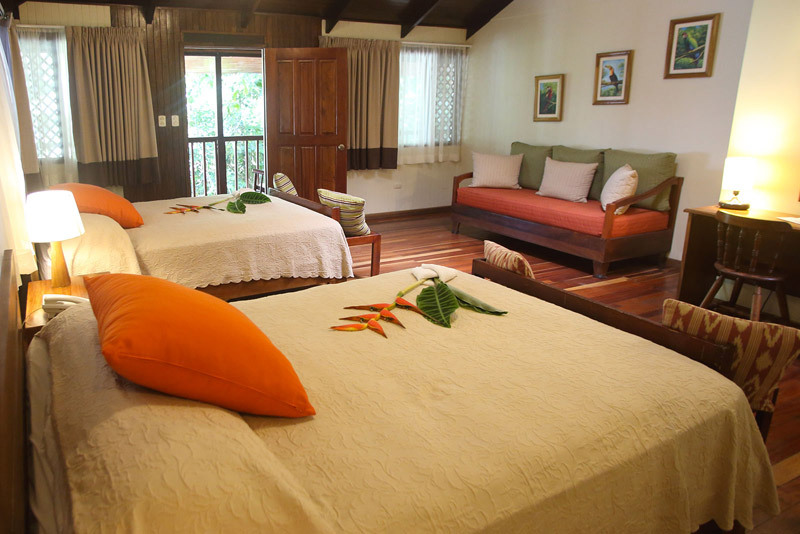 Enjoy staying Rica rainforest.